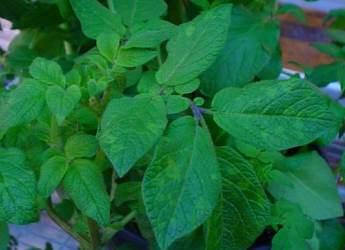 Potato virus Y (PVY) is one of the most serious pathogens of potato crops worldwide, reducing both yield and quality. New recombinant strains of PVY have emerged in recent decades, adapted rapidly to the potato ecosystem, and dominated virus populations over vast geographical areas, including both the United States and the United Kingdom. The overall objective of this proposal from the USA-UK partnership is to understand the ecological factors that allow recombinant strains of PVY to emerge, spread rapidly, and become the dominant viruses. UK Principal Investigator: Professor Lesley Torrance, University of St Andrews and James Hutton Institute. UK Co-investigators: Dr Alison Roberts, the James Hutton Institute, Professor Alyson Tobin, York St John University. The overarching goal of this project is to identify ecological factors that allow new emerging viruses to predominate in host communities. To do this, we have assembled a team of ecologists, plant pathologists, plant physiologists, entomologists, and mathematical modellers from the United States (funded by USDA) and the United Kingdom (funded by BBSRC). We will collaborate to evaluate the influence of landscape structure, vector community composition, transmission dynamics, within host processes, and virus recombination on the emergence and spread of new vector-borne viruses, using the economically important aphid-transmitted Potato virus Y (PVY) as a model system. PVY is one of the most serious pathogens of cultivated solanaceous crops worldwide, reducing both yield and quality. New recombinant strains of PVY have emerged in recent decades, adapted rapidly to the potato ecosystem, and dominated virus populations over vast geographical areas, including both the United States and the United Kingdom. The recombinant strains must have a fitness advantage to emerge rapidly as the dominant virus population, but the ecological factors influencing fitness are not clearly understood and represent an overall objective of this proposal. 1) Determine whether landscape structure influences the composition of the vector community, patterns of PVY transmission, and prevalence of emerging disease [USDA]. Agroecosystems are embedded in landscapes composed of a variety of ecosystems, including natural habitats, but agricultural landscapes vary in their composition and complexity. As compared to uniform landscapes, complex landscapes offer a diversity of host plants that may favour some vector species while limiting others, thus changing the species composition of the vector community, altering the spatial and temporal structure of virus communities, and modifying disease dynamics. 2) Quantify the effects of vector community composition and seasonal movement dynamics on the spread of different strains of PVY and prevalence of strain coinfections within a field [USDA]. We will focus on the differential transmission of pathogens by different vector species. Although most plant viruses are transmitted by more than one vector species, mathematical theory addressing multiple vectors is rare. The spatial dynamics of vector colonization and virus transmission are key to predicting rates of virus spread and the likelihood of coinfection that may lead to recombination. These dynamics are particularly complex in virus systems like PVY, where the virus is transmitted by many aphid species. 3) Evaluate how host traits affect the probability of infection, coinfection and recombination by plant viruses [BBSRC]. Both genetic variation among host plants and ontogenetic and physiological changes within hosts leading to mature plant resistance (MPR) can alter the probability of successful transmission and infection. Large differences in MPR between cultivars and virus strains have been demonstrated, but the mechanisms causing these changes are not well understood. The work of the UK partners to date has focussed on the onset of MPR against four strains of PVY (PVYO, PVYN and recombinant strains PVYNTN and PVYN-Wi) in potato cultivars Desiree, Atlantic, Maris Piper and Shepody at different developmental stages. We studied the effect of manual virus inoculation at different stages and infection was detected by ELISA. We found that MPR varies with virus strain, development stage and cultivar. MPR against PVYO begins to be induced at stolon initiation and is fully effective by the flowering stage. Whereas with other strains there is some variation, for example, cv. Shepody does not undergo MPR and we found that although PVYNTN and PVYN-Wi did not readily spread to non-inoculated leaves of plants at flowering, most progeny tubers were infected with virus. Thus although later in the growing season recombinant strain-infected plants may be less important sources of viruses for vector aphids, there is a major risk of tuber infection. Work is ongoing to examine source-sink relations and better understand the mechanism of resistance in older plants.